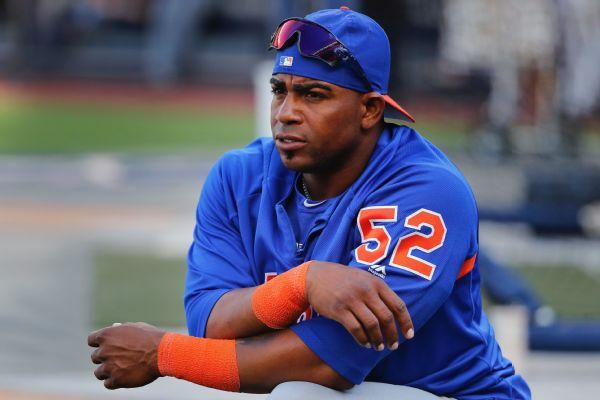 Mets OF Yoenis Cespedes says he thinks he will be able to return this season following surgery on both heels last summer, but he doesn't know when he will be ready to play. 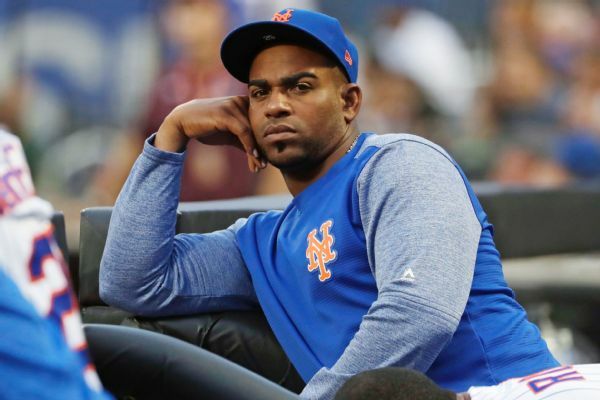 The Mets don't expect to have an idea until sometime during the season when Yoenis Cespedes will return from surgery on both heels. Mets outfielder Yoenis Cespedes is now in the recovery process after undergoing heel surgery Friday for his second procedure in the past three months. 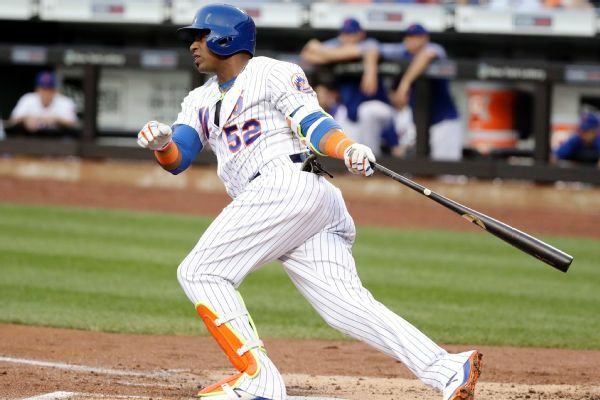 Cespedes' 2nd heel surgery slated for late Oct.
After already undergoing surgery on his right heel, Mets slugger Yoenis Cespedes said he will have surgery on his left heel on Oct. 23. 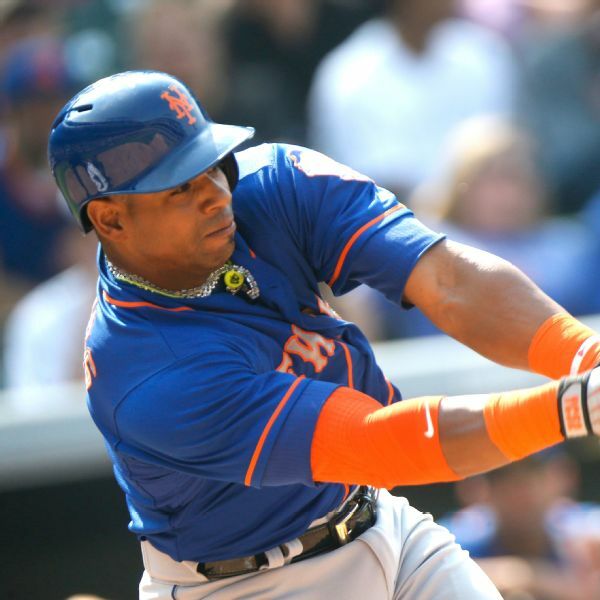 Mets slugger Yoenis Cespedes had surgery on his right heel Thursday, the first of two procedures that will likely sideline him for eight to 10 months. Mets outfielder Yoenis Cespedes will have surgery Thursday to remove bone calcification in his right heel, the team announced. 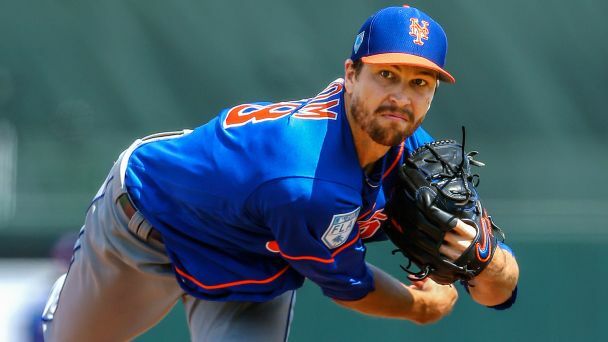 He'll later have the same surgery on his left heel and will likely be sidelined eight to 10 months. 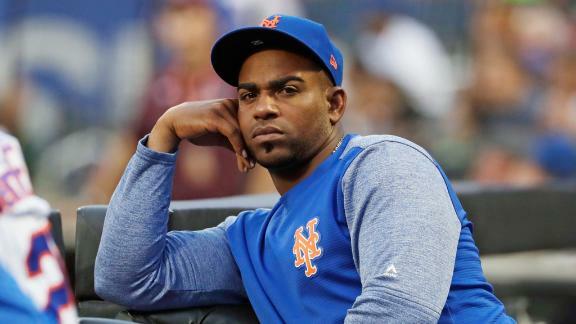 Tim Kurkjian explains how losing Yoenis Cespedes for an expected eight to ten months affects New York. 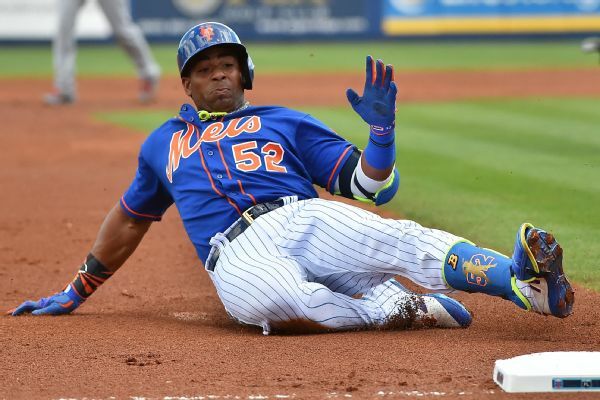 The Mets announced Wednesday that outfielder Yoenis Cespedes will have season-ending surgery on both heels and is expected to be sidelined eight to 10 months. 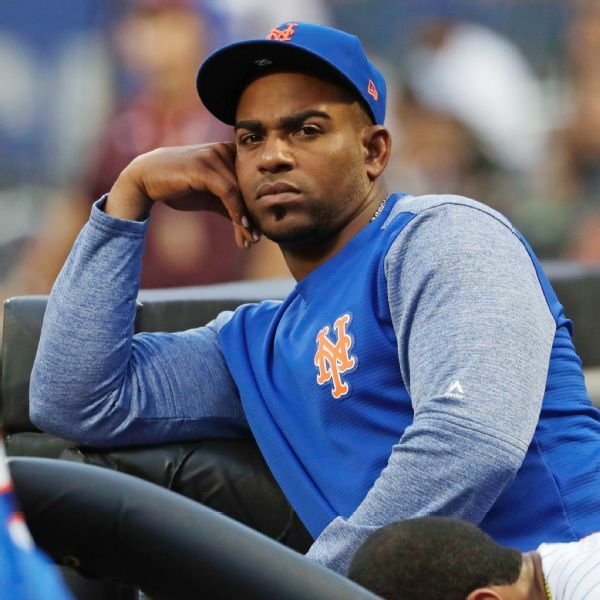 The Mets have placed Yoenis Cespedes on the 10-day disabled list due to his ongoing heel issues and are still deciding whether the oft-injured slugger needs surgery on both feet.